Why would my business need social media? Isn’t that just for people and boutiques? Well, it’s evolved way beyond that. In fact, Google has shown that somewhere around 50% of consumers who made local searches on their smartphones, ended up actually visiting the stores they searched for within 24 hours! Investing in social media is not a prerequisite, it’s a necessity to survive in today’s digital business realm. You should always look to a social media agency to devise effective strategies and social media campaigns. If this isn’t enough to convince you, we’ll show you the top three reasons why social media is important for your business. This is probably the best utilization of social media. It’s to create traffic that leads to your website. The more you share, the higher the search rankings will be for your website. If you have a little budget using paid ads on social media allows you to drive targeted traffic to specific landing pages. Social media simultaneously makes you recognizable and familiar to existing customers and makes you more accessible to potential customers. With over 3 billion active users in the various social media networks, it’s a must to tap into this marketing strategy and improve your authority. It’s important to utilize the right social networks when building your brand according to your businesses needs. Instagram may be the best way for a B2C market, where you can utilize relevant influencers and create your brand strategy. When it comes to the B2C market, you might want to stick with something like LinkedIn and Alignable, where you can join groups and gain authority as mentioned before. Social media gives you access to customers locally, and even worldwide. This opens up your target market, absolutely free. Gaining an audience that becomes passionate about your product or company is the most important step to gain recurring customers through social media. 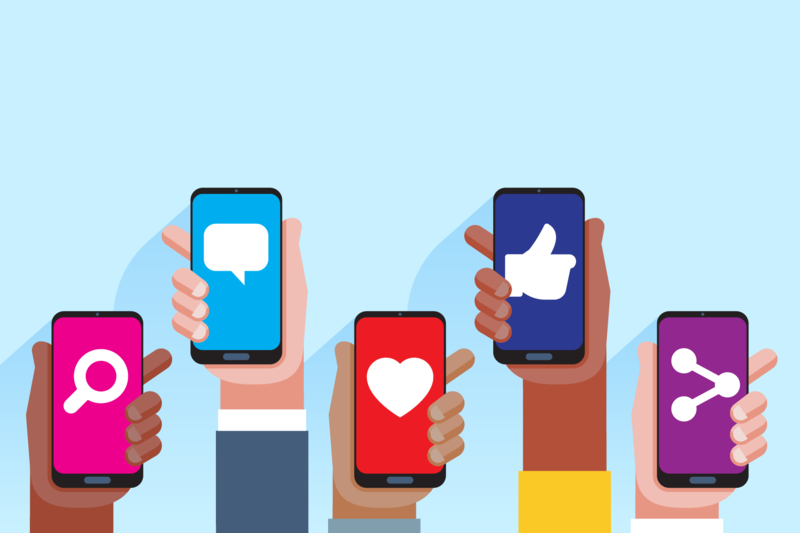 A study by the Texas Tech University whereby they concluded that brands that engage on social media enjoy a significantly higher customer loyalty. Your social media is the perfect way of getting recurring customers, reaching your audiences, and establishing your brand as the authority in what you do. Remember, the social media accounts are free, but you pay with your time, so be strategic. Prioritizing social media branding will help you connect with your target audience, be more strategic with your efforts and get better results. In short, if you don’t have a social media campaign running already, you better contact a social media agency to avoid missing out one of the fastest, cheap, and effective ways to reach millions of potential customers.